After 26 years of existence, Comedy Central is finally launching its own standalone comedy festival on June 2-4 at San Francisco’s Civic Center Plaza and the Bill Graham Civic Auditorium. 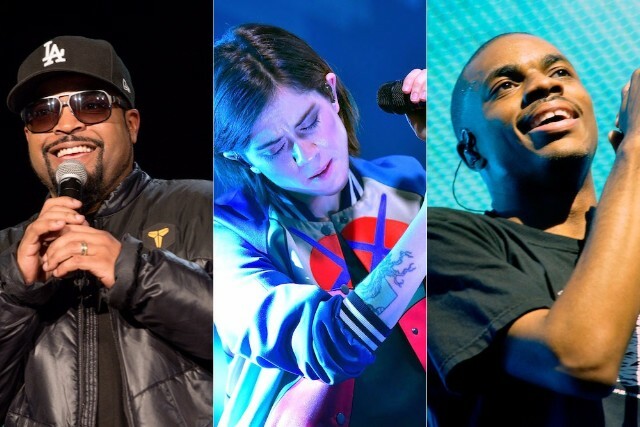 The three-day shindig, titled Colossal Clusterfest, will feature performances from Ice Cube, Tegan & Sara, Vince Staples, Chromeo, Jidenna, and Ty Segall. Comedians Hannibal Buress, Fred Armisen, Kevin Hart, Tig Notaro and Jerry Seinfeld are also expected to take the stage. The festival, which is being thrown along with the company that puts on Bonnaroo, will also feature “interactive attractions” themed around hit sitcoms South Park, It’s Always Sunny in Philadelphia, and Seinfeld. View the trailer below.